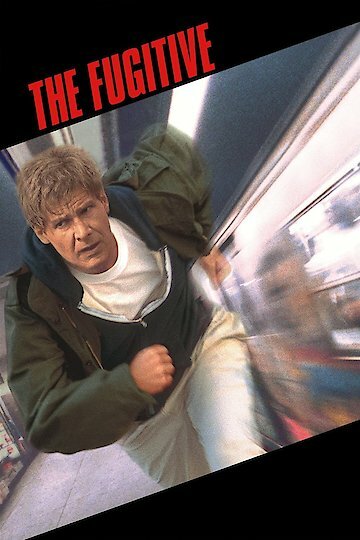 The Fugitive is a drama thriller film that came out in the year 1993. This film is about a physician who is wrongfully accused and convicted of murdering his wife. It has the same name as the television show that came out in the past. In the beginning a physician named Richard Kimble is arrested and taken in for questioning. He answers questions asked him by law enforcement officials and tells them that he had nothing to do with his wife’s murder. Kimble also tells them that he was attacked by and confronted by a man with an artificial arm, and that is who likely killed his wife. Despite his statements he is taken to trial, convicted and sentenced to death. On a bus ride to prison one of the other prisoners attacks a guard, and a brawl takes place. The bus crashes onto a railroad track, and Kimble just barely escapes before a train hits the bus. He then looks to get back into town and look for the man who killed his wife. At the same time, U.S. Marshalls led by Sam Gerard begin looking for Kimble. Richard Kimble goes to a local hospital to treat his wounds and begins changing his appearance. He is able to get out of the hospital by taking an ambulance. Unfortunately for him he has been found and is being pursued. In order to escape capture he goes to a sewage facility and jumps through a waterfall. Shortly after this he begins his investigation and pursuit of the man who killed his wife. Kimble goes to hospitals to look up records of people with prosthetic limbs and eventually finds the residence of the man who murdered his wife. In the end Kimble tells the U.S. Marshal Gerard over the phone about who killed his wife. On the way to an event held by a medical school classmate named Dr. Nichols, Kimble has a physical confrontation with the killer of his wife and handcuffs him to a subway train rail. He then confronts a physician that helped order the murder of him but instead killed wife. Kimble knocks out Nichols and is regarded as innocent. He rides off in a car with Gerard. The Fugitive is currently available to watch and stream, buy on demand at Amazon, Vudu, Google Play, FandangoNow, iTunes, YouTube VOD online.